The Short Version: Perhaps you and that special someone have been dreaming of spending more time on the open water, but buying a boat is a big investment and involves a lot of upkeep. Luckily, Boatsetter, a South Florida-based boat rental business, offers access to thousands of boats in hundreds of locations worldwide. From speedboats to sailboats — and everything in between — renting with Boatsetter is easy, and you even have the option of requesting a captain and crew. So whether you’re looking for a half-day scuba excursion or a week-long charter, Boatsetter can help you create a romantic experience on the water. If you and your partner are always dreaming of heading out on the open water — for fishing, snorkeling, or a romantic excursion — then chances are you’ve spent a good deal of time trying to befriend someone with a boat. Fortunately, Boatsetter can help you end that search. The company’s mission is to help you find and rent the perfect boat for your needs, so you no longer need to borrow one to take that special someone out on the water. And business has been booming. 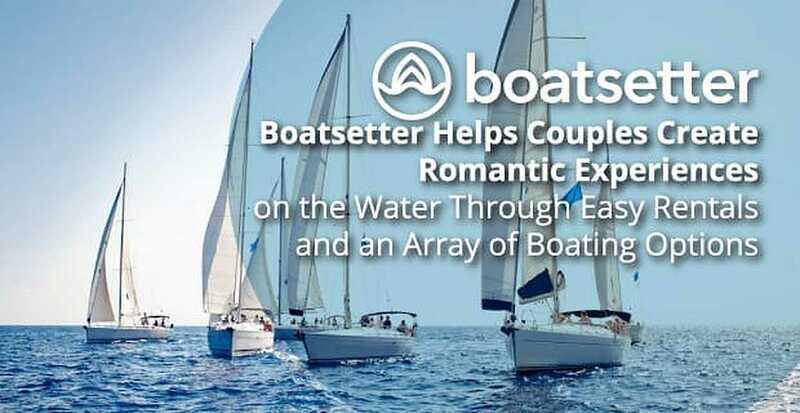 Boatsetter makes it easy to get out on the water for a romantic sunset cruise. If you’re looking to rent a boat, you can enter search terms such as trip dates, the number of guests in your party, and where you plan on boating. Boatsetter does all the rest. If you own a boat, you can list it on Boatsetter’s website along with a profile that includes the make and model, year built, type of boat, how many guests it can accommodate, and your location. Boatsetter has options to select a captain and crew — the service currently has more than 2,300 captains — if you don’t have any boating experience or want to focus on the ride, not the navigation. In addition, there’s insurance coverage and plenty of safety measures for a full-service and stress-free experience. Coming up with unique and romantic date ideas can be difficult, but whether you’re planning your first date or your 50th anniversary, setting up an open-water excursion may not be at the top of your mind. That’s why Boatsetter’s mission is to make boating accessible to all. 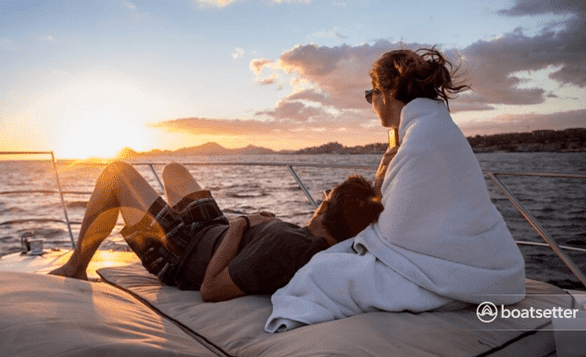 From watersports to a couple’s sunset cruise, Boatsetter offers access to thousands of boats with price points to fit nearly every budget. “Sharing these experiences on the water and making them affordable makes us all feel great. Every day, we work together and listen to each other about the ways that we can improve the guest experience. It’s very collaborative, and I think the reason why we’re experiencing such explosive growth,” Jorge said of the staff of 20 and the Boatsetter company culture. Take to the open Atlantic Ocean aboard a 42-foot sailboat docked in St. Augustine, Florida, or cruise the Tyrrhenian Sea on a powerboat that calls Lazio, Italy, home. With Boatsetter, you can rent a vessel in nearly every corner of the world. The company, based in South Florida, racked up more than 12,000 rentals last year. 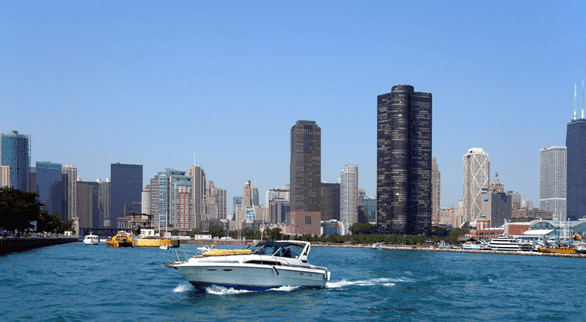 Boatsetter is a popular choice in cities like Chicago for those who want to get out on Lake Michigan. With a growing trend in the tourism industry of vacation boat rentals, Boatsetter is poised to grow its strategic partnerships as well as expand the existing relationship it has with Airbnb, including its sub-brands like Luxury Retreats. Visit the Boatsetter website and you’ll be privy to a list of locales that cover areas from Sacramento and Spain to the Bahamas, Maui, Puerto Rico, and Rhode Island. Boatsetter can help you make memories to last a lifetime aboard a sailboat, speedboat, yacht, and other vessels. Most Boatsetter users just want to get out on the water, no matter how much time they spend there. 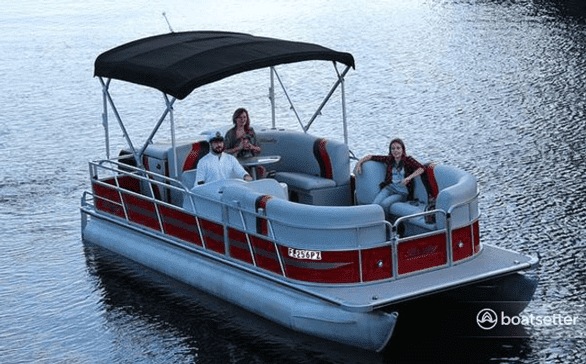 Pontoon boats are popular with couples because of their maneuverability. Jorge told us that one of the most popular couples rentals is a pontoon boat because of its maneuverability, which makes for a relaxing, no-fuss experience. He also recommends more lavish vessels such as a yacht complete with captain and crew. Boatsetter brings that recurring dream you’ve been having of being out on the water much closer to reality. From Galveston to Grenada, scheduling a one-of-a-kind boating excursion has never been easier. Whether for fishing, snorkeling, sunbathing, or simply getting away from it all, it’s easy to see why Boatsetter has become the premier platform for boat sharing.